Federal forecasters today proffered a 73 percent chance that, overall, California will see at least average precipitation this winter. However, the auspices favor the Southland more than Northern California, where most of the state's largest reservoirs are located. The outlook issued today includes the months of December, January and February, when wetter storms, if they come, typically hit the state. 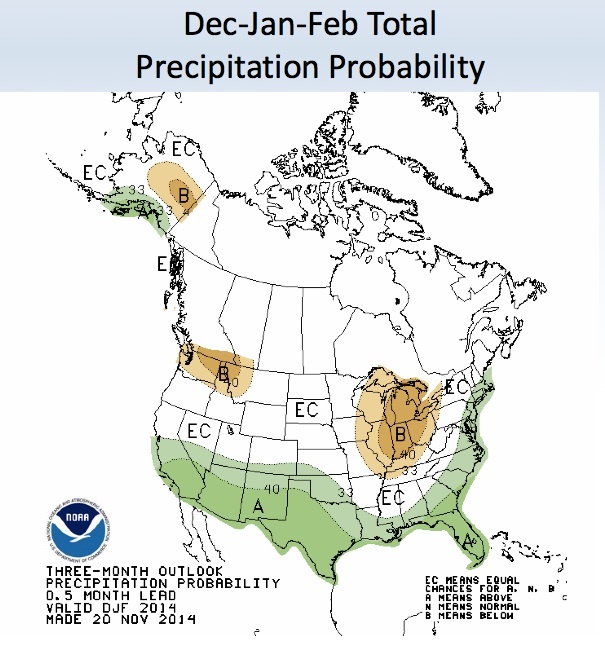 It's the first time since 2011 that the federal Climate Prediction Center's three-month outlook favored average or above-average precipitation for any portion of California. As a testament to the persistence of the current drought, the last time the CDC issued an outlook predicting average-or-better precipitation for the entire state was November of 2009. Scientists still have low expectations for the warm-water conditions in the Pacific known as El Niño, which might wring more rain and snow out of the atmosphere. 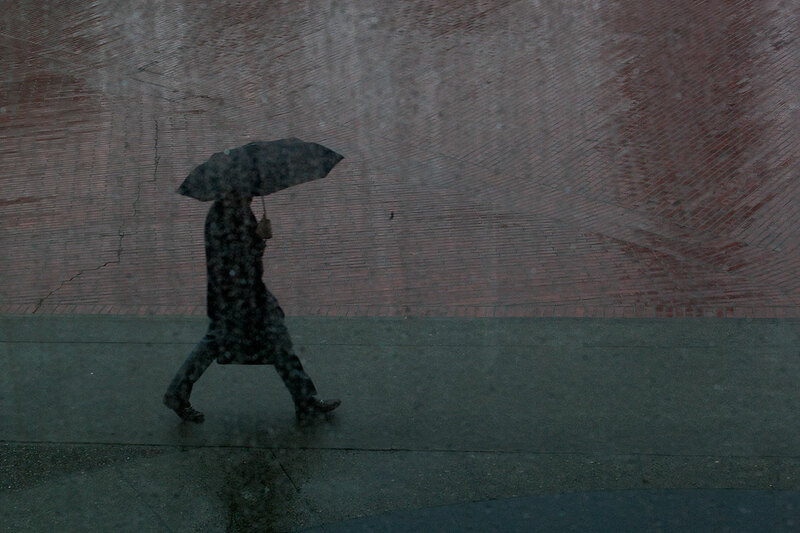 They say there's about a 60 percent chance of a winter El Niño -- but it's likely to be a weakling, not the rainmaker that is the stuff of California legend. "Given such a severe California drought, normal precipitation would likely improve (not eliminate) the drought," CPC meteorologist Dave Unger explained in an email. "So that is the reason for the optimistic drought outlook." California's state climatologist has said that the state would have to see at least half again its normal winter precipitation to begin to turn things around. Forecasters are always quick to concede that such long-range outlooks are best taken with at least a grain of salt. Given the state of the science, this glimmer of hope could easily be a mirage. One thing of which they're fairly certain: California is heading for its warmest year on record. In fact, said climatologist Jake Crouch, even record cold in December would not likely prevent that.